El diseño "ErgoLift" es una delicia visual, ya que permite una tapa fuerte con biseles estrechos en los cuatro lados de la pantalla. Sin embargo, algunos recortes impiden que el sistema sea un elemento imprescindible frente a sus competidores. Yet another strong ZenBook device. ASUS has made two out of two with the 14-inch and now the 13-inch version of this laptop. It brings extreme versatility with a very good build quality basically at a fraction of the price of comparable Apple MacBook Pro 13 (2018) and even the MacBook Air (2018). Of course, ZenBook 13 UX333 is competing with some Windows laptops as well – the XPS 13 9370 for example, as well as HP’s EliteBook 830 G5. The Asus ZenBook 13 is a classy Core i5 ultraportable that's priced aggressively. Even a slightly cramped keyboard can't keep it from an earnest recommendation. Absolutely. The ZenBook 13 is an incredible laptop with superior design, a solid chassis, a great display, and the latest Intel processor. At Rs 88,990, Asus ZenBook 13 is a great laptop, and this is a fact. Sure, Dell XPS 13 is a great laptop too, but it is slightly expensive. The question is, which one to choose? I leave this answer to you. The Asus ZenBook 13 proves to have an edge over most other Thin and Light laptops out there with its NVIDIA GeForce MX 150 dedicated graphics card but commands a premium for it. Still, it comes with all the right ports and a novel touchpad innovation we hope you like. The Asus ZenBook 13 UX333FA shines thanks to a combination of speedy performance and an impressively long battery life. Not to mention, it's quite the beauty. However, its dim display is a trade-off, and we wish there was more spacing between the keys. ASUS ZenBook UX333: minden kipipálva? 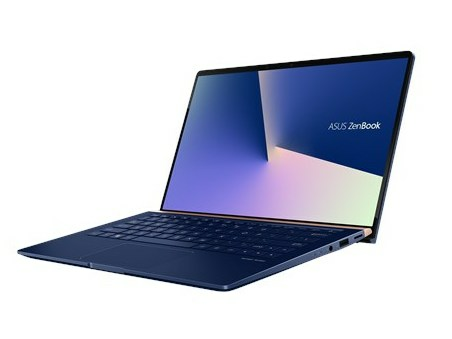 Trên tay Asus ZenBook 13 UX333FA: laptop 13,3 inch đẹp nhất? 1.19 kg: Este peso es típico para grandes tablets, pequeños subportátiles, ultrabooks y convertibles con una diagonal de pantalla de 10-11 pulgadas. 80.08%: Esta evaluación es para ser considerada como promedio, porque la cantidad de portátiles con mejores evaluaciones es casi la misma que la cantidad con evaluaciones peores.